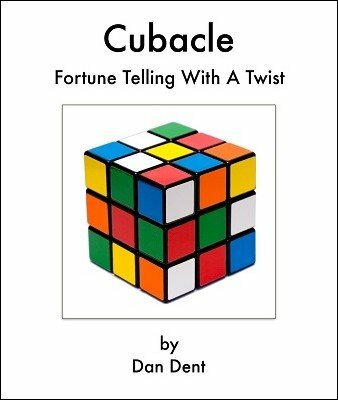 Cubacle adds a fresh twist to an old oracle, creating a unique reading system! Imagine, you invite a spectator to mix up a Rubik's Cube. They then place it back on your outstretched hand and you proceed to deliver a psychic reading using the coloured squares and their respective positions on the faces. Tarot type 'Past, present and future' readings work perfectly with the system. Questions about the three usual areas of interest; Health, Wealth and Love can all be answered in the reading (these are explained in the ebook for those who are unfamiliar with these terms). .....but why another reading system? I love traditional oracles; Tarot, Palmistry, Numerology, etc., and use them regularly in 'entertainment' environments, but I also enjoy more quirky, unusual methods of fortune telling. And Cubacle is certainly that. It offers the psychic performer/reader a method of delivering both short and more extended readings with a completely self contained prop. It is perfect for strolling environments as it is performed entirely 'in the hands'; no loose pieces for the spectator to drop, no awkward shuffling, no extra paraphernalia to accidentally leave at the last table or group. Also, prospective clients/bookers and spectators might be wary of the 'Occult' reputation which some other reading systems may have. A Rubik's Cube doesn't suffer from this because it is, after all, about as sinister looking as a multi coloured Magic 8 Ball.